Where Does Used Industrial Oil Go? Globecore / Use Cases / Where Does Used Industrial Oil Go? Industrial Oil. Industrial oils are widely used in industry for lubricating friction parts. 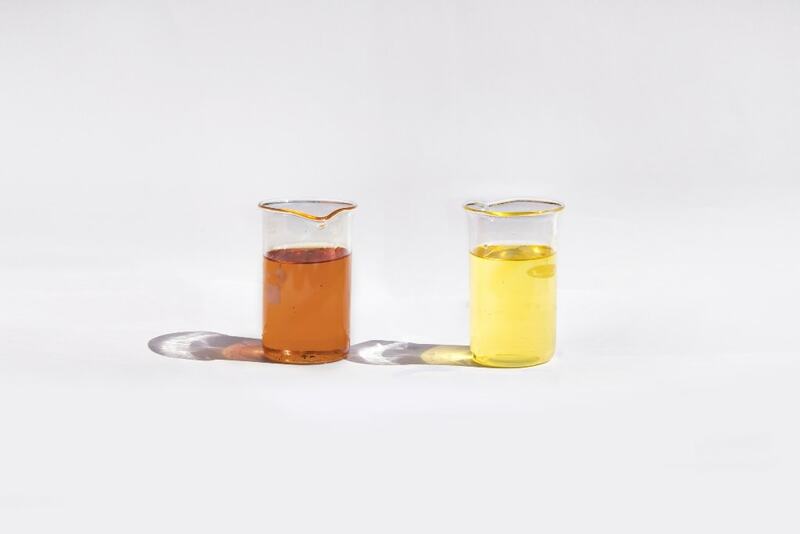 In adverse operating conditions, with increasing running speeds, loads and temperatures, there are higher requirements to the quality of industrial oils. Even the liquids of the highest quality do not guarantee that they maintain their properties for the duration of the service life. They are contaminated with metal particles, particles of rubber seals and other impurities as well as oxidation products. These cause failures of expensive machinery and equipment. Therefore, it is necessary to maintain the purity of industrial oil, and replace it when its properties deteriorate. There is a logical question. Where do we put used industrial oil, as it can accumulate over time? It cannot be drained into the soil and waterways, because it causes serious environmental problems. It also causes health problems for people exposed to waste oils. It is recommended to regenerate waste industrial oil and reuse it for its original purpose, or use it for production of new commercial oils. In practice, regeneration of industrial oils uses physical, chemical and physico-chemical methods. In this article we will focus on the physical methods. The most commonly used method is filtration through porous septum, made of high quality filtering materials. In coarse filtering of industrial oil the filtration fineness is generally 70 … 100 micron, medium filtration is 20 … 60 micron, fine filtration 1 … 20 micron, and ultra-fine filtration less than 0.1 microns. Also there are slot filters used for oil purification (plate-type filters, belt filters, wire mesh filters and channel filters). The filter is selected according to the necessary degree of purification. The industrial waste oil is generally cleaned by intermittent filters that have a simple design and can operate at different pressures. Their disadvantage is the necessity to stop for replacement and washing.